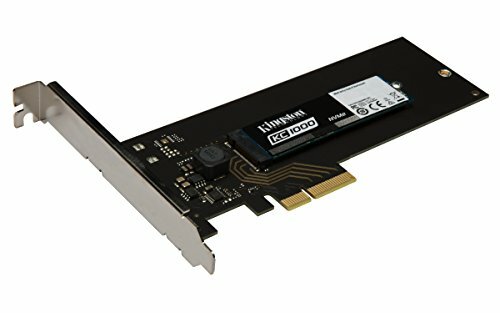 Kingston plays the long game with its first NVMe drive. 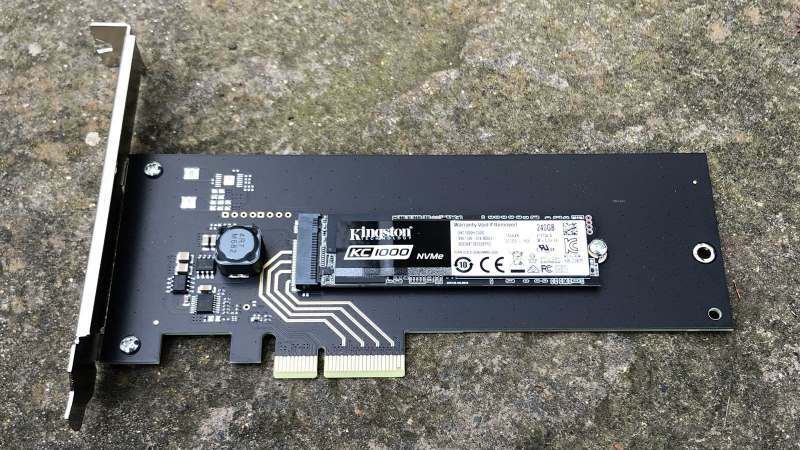 Kingston KC1000 960GB Review – Four years after the first SSD with support for the hot new NVMe control protocol was launched, Kingston has finally turned up to the party. Did the KC1000 swagger in fashionably late? Or has Kingston missed out on all the fun? 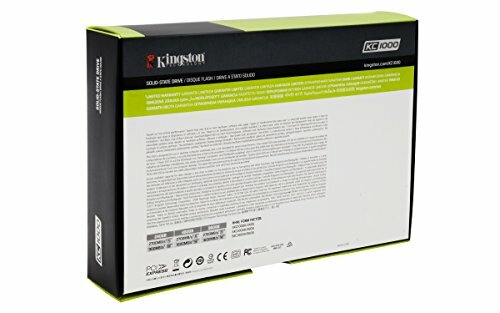 One of the KC1000’s major selling points involves endurance rather than speed, which may be a bit surprising, given that performance is the most obvious benefit of moving from an old-school SATA drive, based on the ancient AHCI control protocol, to an M.2 drive connected via PCIe, and leveraging the solid-state optimised NVMe protocol. But the KC1000 not only offers a full five-year warranty, it also backs that up with a two million hours mean time between failures (MTBF) rating. 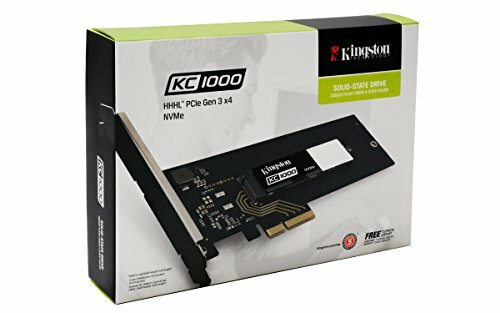 What’s more, Kingston rates this 960GB KC1000 as good for 1PB (1,000TB) of writes. That’s far nearer to the 1.2PB of Samsung’s market-leading 970 Pro 1TB than it is the cheaper 970 Evo 1TB and its 600TB rating. For the record, our sample comes as part of the KC1000 HHHL package, the latter jumble of letters signifying Half Height Half Length, referring to the bundled add-in PCIe board that allows you to use the drive in motherboards that lack an M.2 slot as standard. 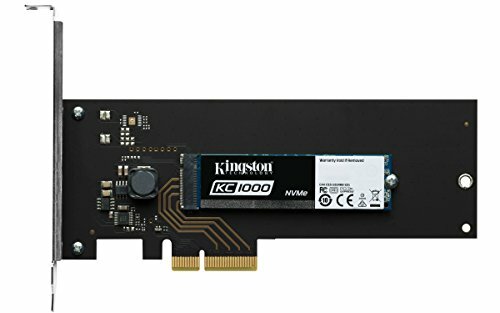 A bare KC1000 M.2 drive is available for fewer dollars. As for the spec of the drive, underpinning it all is a Phison PS5007-E7 controller, and a load of Toshiba 15nm planar, rather than 3D, MLC NaND flash memory. At launch in 2016, the Phison PS5007-E7 was intended to be among the fastest NVMe controllers. Today, it isn’t quite as competitive. This 960GB model is pegged at 2.7GB/s for peak sequential reads and 1.6GB/s for writes. 4K random access performance is, again, a fair distance off the very best. At 190K and 165K for reads and writes, respectively, it’s not going to worry the 500K IOPS capability of the likes of Samsung’s 1TB 970 Pro, for instance. In practice, a similar performance delta applies. The peak throughput numbers in benchmarks are patchy. It exceeds expectations in the least challenging metric, ATTO Disk Benchmark. However, with peak sequential reads of just over 1.5GB/s in CrystalDisk, it’s some way short of Kingston’s claims. Similarly, 4K random access performance of 42MB/s for reads and 125MB/s for writes isn’t merely well behind the likes of a top-end drive like the Samsung 970 Pro, it’s also significantly slower than the cheaper 1TB 970 Evo. In real-world testing, both Samsung drives are roughly twice as fast in our internal file copy test. Similarly, during our pre-bench setup routine, we found that the KC1000’s sequential throughput can drop as low as 200MB/s when copying hundreds of GBs in a sustained fashion. Which means the KC1000 isn’t exactly a no-brainer. It will blow away a SATA drive, but compared to the latest PCIe SSDs, it looks pretty ordinary. Its excellent 5-year warranty and strong endurance ratings contrasts starkly with its patchy performance.